The festive season is here! and along with it an abundance of edible delights seem to be just about everywhere! Over 99% of us are going to break the rules and indulge. Great! Enjoy it! (guilt-free and in moderation). But accordingly, support your digestions ability to "digest" the "silly season" at ease with minimal repercussions. It is hard not to overindulge and accumulate Ama, the toxic waste-product of incomplete digestion. 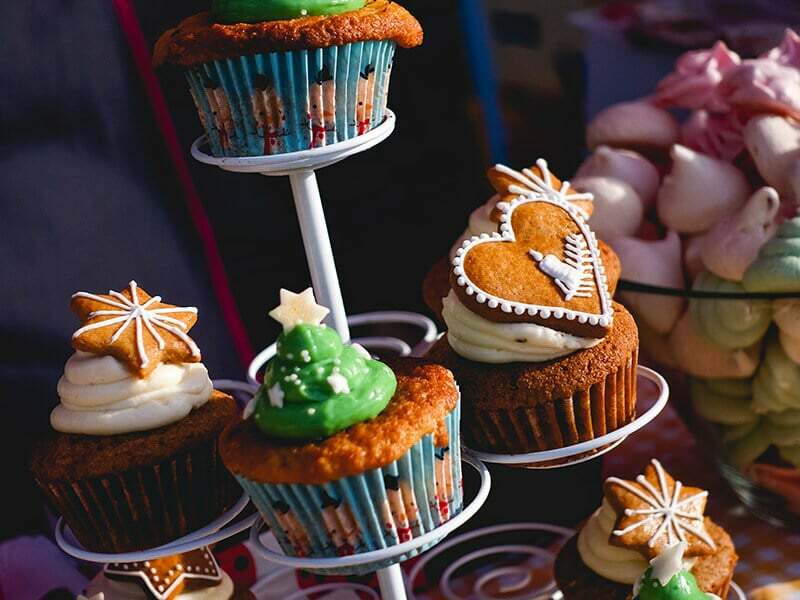 Tempting sweets and mouth watering food platters that pull you in by the eyes and nose can lead you to over-eat and snack at irregular times, promoting the accumulation of Ama. Ama is a sticky, thick, mucus-like substance that if not cleaned out, will clog bodily channels and vitiate the “weak part” (Kavyaguna) in your body. Joints are typical weak spots, but the ama will vitiate different tissues and areas depending on the person. Some people may experience respiratory symptoms, constipation, gas, bloating, skin rashes or breakouts, congested lymphatic system, weight gain or stress. This is the beauty of the prevention aspect of Ayurveda. It can detect disease way before it gets even slightly complicated. A key solution for conquering Christmas-time Ama is to keep your digestive fire (Agni) burning and balanced. We want our agni to digest the food and from it create a thin liquid substance that Ayurveda calls "Ahar Rasa." This is the essence of the food. This essential bi-product of digestion will nourish your body and provide the required nutrients and energy for you to thrive. The following tips will help keep your agni strong and balanced. Digestion is stronger in winter and weaker in summer. "The temperature of the body beaten by the cold wind goes deep inside, gathers like a lump in the stomach increasing the digestive fire; hence, [in winter] people have the ability to digest foods which are hard by nature." ~Astanga Samgraha of Vaghbata, Hemantartucarya (regimen of winter), ch. 4, (8-13). Modern science is now proving ancient wisdom as studies show the amylase enzyme (which increases our digestive strength), increases in our body in winter and decreases in summer. What more is that the parasympathetic nervous system, AKA the “Rest and Digest” nervous system, also increases in winter and decreases in the spring and summer. Our digestive fire is hot, fiery and acidic. We don’t want that in summer, we want that in winter to keep us warm and insulated and to help us to break down the hard to digest, high protein, fat and dense foods like grains, nuts and dairy that nature intelligently organised to be harvested for the winter time. Your lucky that you do have stronger digestion but still do everything in moderation and follow the tips below to remain balanced. 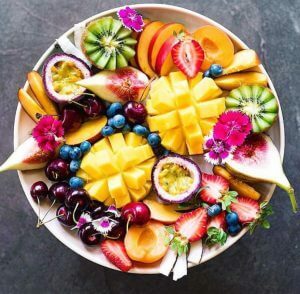 Choose loads of fresh local fruits as your party foods. Fruits have been ripening on the vines all year long and assist in dissipating the heat out of your body. Fruits are easy to digest for your weaker summer agni. Ironically barbecues and ice-cream by the beach are more appropriate for winter time. Stick to light foods. Your agni (digestive fire) is regulated by the sun. When the sun is strongest your digestion is strongest and more robust. Modern sincere is once again proving ancient wisdom by showing that not only is our digestion stronger, but the food you eat deliver more nutritional value at the middle of the day when the sun is up rather than at night time. Start preparing your Christmas lunch earlier so that you can stick to a 12pm-2pm mealtime schedule. If you do have an evening party, make it earlier while the sun is up around 5pm. Dinner should be the lightest meal of all. A big meal will not only tax your digestive system but will disrupt your sleep as your body will be burdened with this unwanted task. Your body’s job at night is to detox the liver and regulate hormones, not digest food. Fat on the other hand as your primary fuel source is effective for stabilising mood, emotions, good sleep, increasing cognitive function, less cravings, losing weight, balancing acidity and maintaining good energy levels. Re-establish fat metabolism by eliminating snacks. Shodana Vati – Detoxification agent and whole-body cleansing Rasayana. 3 dosha balancing. Best free radical scavenger & anti-oxidant; immune modulator and blood purifier. Good for gastrointestinal disorders, allergies, tooth and oral problems, female problems, high cholesterol, chronic cough, eye disorders, addictions, and helps clear the skin and more. A Raju family formula. Shodana Vati is my herb of choice for mostly everyone to take. We live in a time where toxins are prevalent. In the US, a whopping 4 billion pounds of toxins are being dumped into the environment each year—72 million of which are carcinogenic. (1) Even your organic kale probably have mercury and glyphosate on it. Contact me to order Shodana Vati. 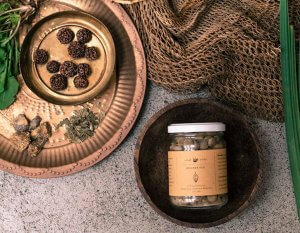 Triphala – An inferior digestive support option to Shodana Vati. Take 1-3 grams of quality triphala before dinner. 1/2 tsp ginger powder or freshly grated ginger. Put the powdered herbs in 1.5 cups of water and boil down to 1 cup. Strain and add 1 pinch of black salt. Sip hot/warm as a tea after each meal and if you experience digestive discomfort. You may make larger quantities and keep in thermos for the day. Vital Veda’s digestive tea contains 22 organic herbs blended into coarse powder. Drop a large pinch in hot water after meals or when you experience digestive discomfort. A gem to sip on after overindulging in a feast to help digest the ama. This is a powerful technique to melt toxins and flush them out the body. Like washing the dirty grease off dishes with hot water, the same thing happens in your intestines. Sipping plain hot water regularly (frequency, not quantity matters) dilates the channels in your body so things can move better. Don’t underestimate this powerful tool. Click here for more on this surprisingly powerful detoxification technique. Just in case you strayed from the Ayurvedic path and collected Ama along the way, fasting is a quick and effective fix. In Ayurveda, it is said if you eat a heavy meal that did not digest properly, skip the next meal. If you had a ridiculous dinner, skip breakfast or just have hot milk. If you put out your agni with a heavy lunch, skip dinner. A gentle fast allows the agni to recover its strength and burn away accumulated ama, leaving you feeling light and energetic. Always sip hot water frequently on fasting days to assist in removing the ama. Some foods are especially hard to digest and easily produce ama. Heavy foods produce “tamas” or dullness in the mind and body. Fresh foods are easier to digest and contain more Prana (life force). Leftovers – will oxidise and are very tamasic. Deep fried foods are hard to digest. Raw foods are hard to digest. Why make your internal fire do the cooking? Let the external fire do the cooking to make the food more compatible with your body. Cold foods and drinks will put out your agni digestive fire. Ice-cream – cold, sweet, heavy and dull are the same qualities of ama. Like increases like. A lot of water with meals dilutes the digestive enzymes. Iced drinks with meals is like throwing cold water onto a fire. Lassi is the best to have with a meal. Despite all your good efforts to keep balanced, our physiology still needs regular detoxification and rejuvenation. Panchakarma (“PK”) is a methodical combination of taking herbs, treatments and adjusting diet and lifestyle to cleanse and renew the body. These treatments are hands-on, rejuvenating techniques that purge the physiological stress and toxins out of the body that covers the underlying natural state of perfect health residing in everyone. 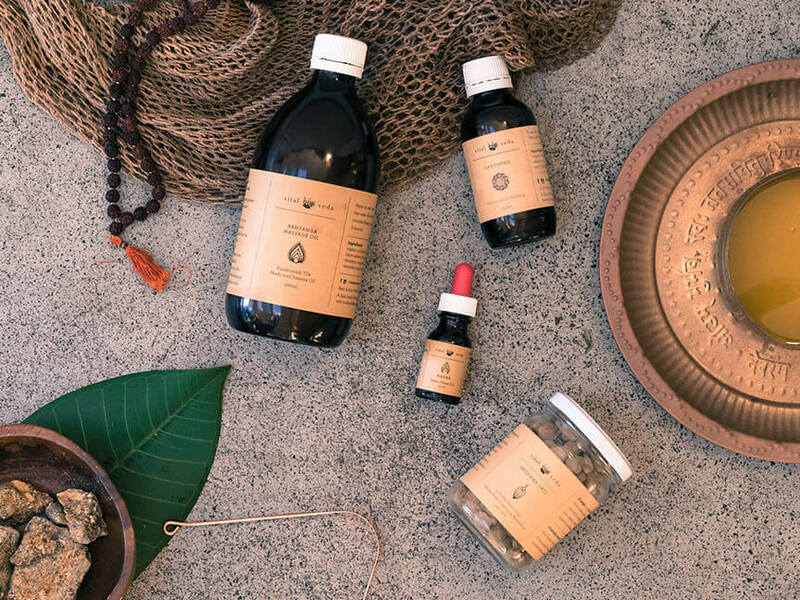 This detox and rejuvenation program is best to be immersed in-residence at an authentic, safely practised ayurvedic clinic. I highly recommend Dr. Raju’s Institute of Ayurveda. If you can’t run away to India, the Vital Veda clinic in Sydney offers PK for 5, 7, 15, 23 or more days where your program will be tailored to tie in with your home and work life. 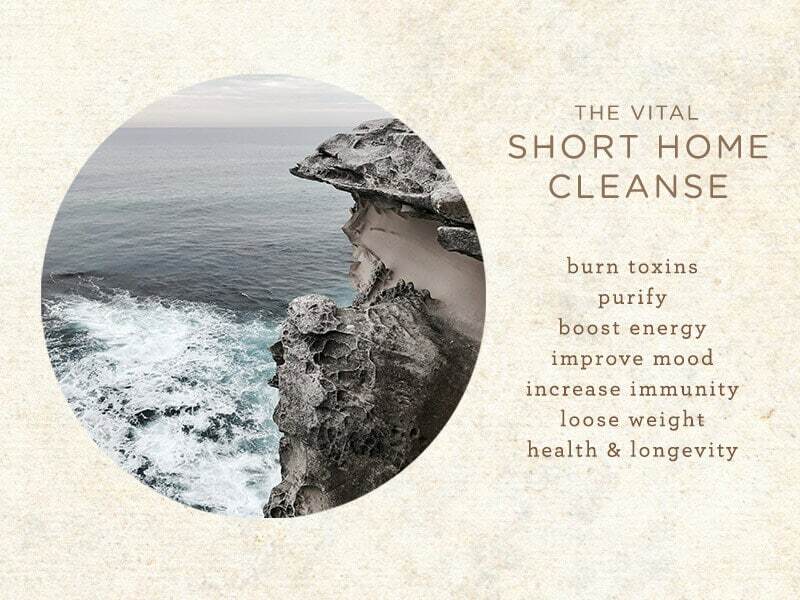 If you want to DIY at home, check out my free Vital Short Home Cleanse. I wish you a happy holiday season filled with unity and relish. "Even if you eat ice-cream, enjoy it." 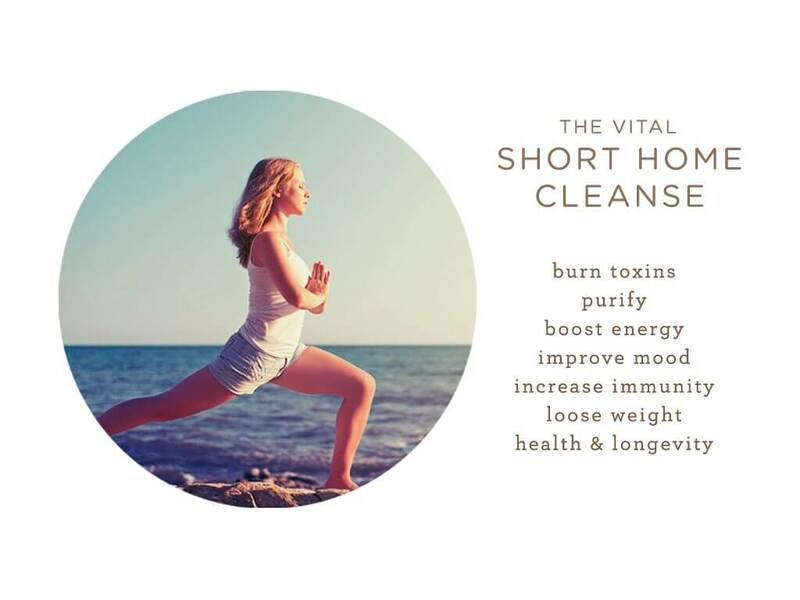 The Vital Short Home Cleanse (VSHC) is a short 5 day cleanse and detox designed for those who are ready to feel lighter, more energised and peaceful. It is appropriate for busy people who don't have the time for Panchakarma (Ayurvedic detoxification and rejuvenation program) or a similar longer cleanse/retreat. The VSHC is a "DIY" (Do It Yourself) cleanse consisting of following a daily regimen, a simple and delicious diet protocol, taking a few herbal supplements and perhaps backing up a little from your regular life and giving more time to Yourself and rest. "DIY" entails that the results are based on the level of your compliance and dedication to the program. How far you take it is up to you. You can choose to retreat and reduce external stimuli to turn your senses inside out to feel the deeper parts of yourself. Or, on the other hand, you can integrate the VSHC at the same time as working full time, which will still reap transforming benefits for you body and mind. This easy 5 day detox will help stimulate your body's natural ability to burn fat, reset digestion, reduce cravings and eliminate toxins. The best time to detox is when you have the time to rest. During the 5 days you should be in bed every night by 9:30-10pm and have minimal social/work commitments. It is important to cleanse and relax on a regular basis or when your lymph is stagnant. (see VSHC eBook for signs of stagnated lymph). You can do the VSHC three to twelve times a year. If you typically experience coughs, congestion, weakened immunity or allergy symptoms during a particular season, it is good to do this cleanse about one month prior to when you usually experience symptoms. Do not do this cleanse during fever, if you are not feeling 100% well or during menstruation. (Big file, will take time to load). Abhyanga Massage Oil - 500ml Medicated Sesame Oil (for cold climates) or 900-gram Medicated Coconut Oil (for hot climates and sensitive skin) to be used for Self-Massage. Supports lymph and blood circulation, pacifies the nervous, collects toxins from deep in the body to be eliminated and more. Nasika Oil - 15ml Medicated Nasal Oil for Nasya. Nasya pacifies the brain, strengthens sensory organs and more. Gandusha Oil - 100ml Medicated Oil to for daily Oil Pulling. Not only profound for oral health but also supports Head Neck and Throat health. Shodana Vati - 300 tablets. To be taken before dinner. 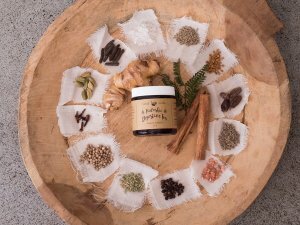 General Detoxifying Agent and 3 Dosha Balancing and more. Shipping available within Australia (additional handling and postage fee). Pick up from Bondi Beach, Sydney clinic available. Purchasing individual products are available.